Google had initially rolled out the Flutter in May 2017. 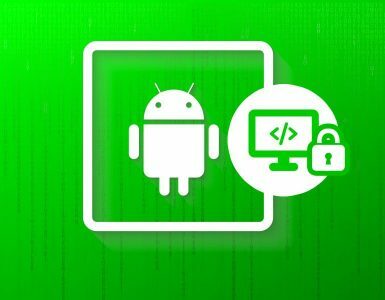 It is basically an open-source mobile application development SDK (Software Development Kit), which helps in the development of eye-catching native interfaces on cross-platform applications for both major platforms i.e. Android and iOS respectively. In addition, it also builds the applications for Google Fuchsia. However, the cross-platform app SDK is yet again in the news and this time around, it’s because of the release of final preview of Flutter known as Flutter Release Preview 2. Google made this incredibly important announcement at the Google Developer Days China in Shanghai. 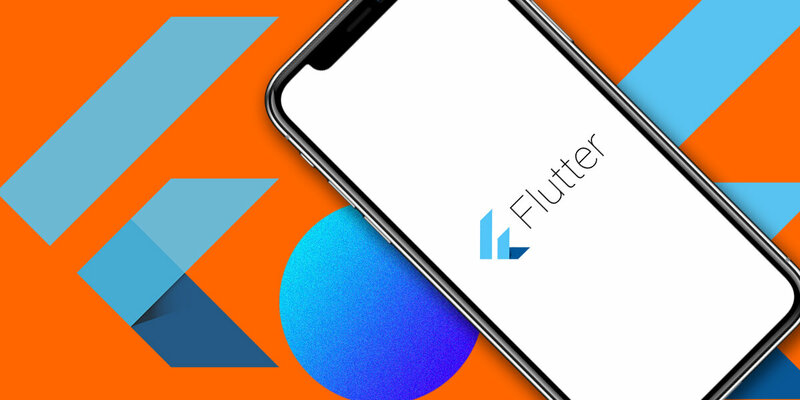 It must be noted that this is the sixth edition of the Flutter SDK and also the final version. Now, the next step to be followed is launching the stable version of Flutter 1.0. This is one of the significant developments that have provided a great impetus to the Google’s UI framework ever since the release of the Flutter Release Preview 1. 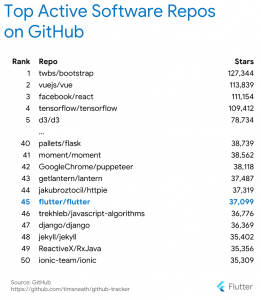 In fact, Flutter has gained a prime position, getting a rank amongst the top 50 active open-source software repos on GitHub. This is the key reason why it has become the preferred choice for top-notch brands including Google, Alibaba, and Tencent etc. It is good news that Flutter has got an extensive support in the form of an open-source community. The expert developers in community have started creating tutorials and best handy tools including Flutter Studio. In fact, according to the community recent survey, 92% of the developers have expressed their satisfaction or over satisfaction after using Flutter SDK. This actually shows how quickly this cross-platform application is escalating on the graph of popularity. This is going to improve further once the version 1.0 is out. Google very well understands that the competition out there is quite stiff and as a matter of fact, it has to compete with some top players like Facebook’s React Native. So, it has included a number of features and updates, which needs to be discussed in some details. First, Google has tried to improve its library performance with more visual library widgets. The library has been designed in a manner so as to match the performance and platform integrations of the native mobile. Flutter focuses on faster development of apps with multi-platform reach of portable UI toolkits. Flutter is developed from the Google’s Dart programming language. Google has named the theme for this release as pixel-perfect iOS apps. 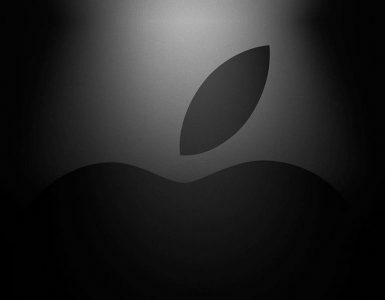 The Company in its official blog stated that it has been very specific in designing Flutter, keeping in mind the brand driven tailored experiences, along with offering a full extensive support for the Cupertino” themed controls in the cross-platform application. In fact, some of the users requested Google to abide by the Apple interface guidelines; and so it has also offered a wide range of library widgets, which would ease out developing iOS apps. A few good examples of new iOS-themed widgets include CupertinoApp, which is the best widget for the development of iOS-styled apps. Then there is CupertinoTimerPicker, which acts as a countdown timer picker. A few other iOS-themed widgets include CupertinoSegmentedControl, CupertinoActionSheet, and others etc. If you want to avail more information on Cupertino classes, then you should consult the Flutter documentation. However, Google has said that it is working on adding some more of Cupertino widgets to the list of visual widget. This important step offers a native feeling while making the cross-platform applications. Google says it has made improvements in the other areas too. For instance, it has given extra support for the execution for the Dart code in the background even if the application is incomplete. This is where the plugin authors can take the benefit as it would allow them to build new plugins that execute the codes as when the event kicks off. One can cite the examples of getting the location update or firing of the timer. It is quite noteworthy to inform that Google has also reduced the size of the application package up to 30%. This is applicable for both the Operating Systems; Android and iOS. According to the information available, the size of the Minimal Flutter Application on the Android platform is now about 4.7MB. However, to get that reduced weight you need to develop the app in release mode, which would precisely save the file size of 2MB. The Company is also continuously working on initiating further improvements and optimizations that would influence the cross-platform apps together. This would in addition accelerate the speed of app development and make mobile internet more accessible. So, if you already have, Flutter pre-installed, and then you can just use the command flutter upgrade to get the latest update. However, if it’s not the case then you have to follow the guidelines for Windows, macOS and Linux and checkout the beta version at flutter.io. You must remember that the first preview was an alpha version and the first beta version came out in February, this year. We have already indicated earlier that the sixth version of Flutter Preview 2 will indeed be the ultimate and final preview before Google moves to release the stable Flutter version 1.0. 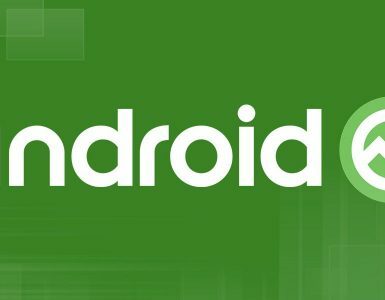 As such, Google hasn’t officially announced any particular date for unveiling the stable version but it is expected to roll out later this year. And yes, not to forget that this probably would be a good experimenting opportunity for the developers out there to check the various features, functionalities, and bug reports etc. across the framework. In short, they can lay their hand and see how actually the Flutter performs.